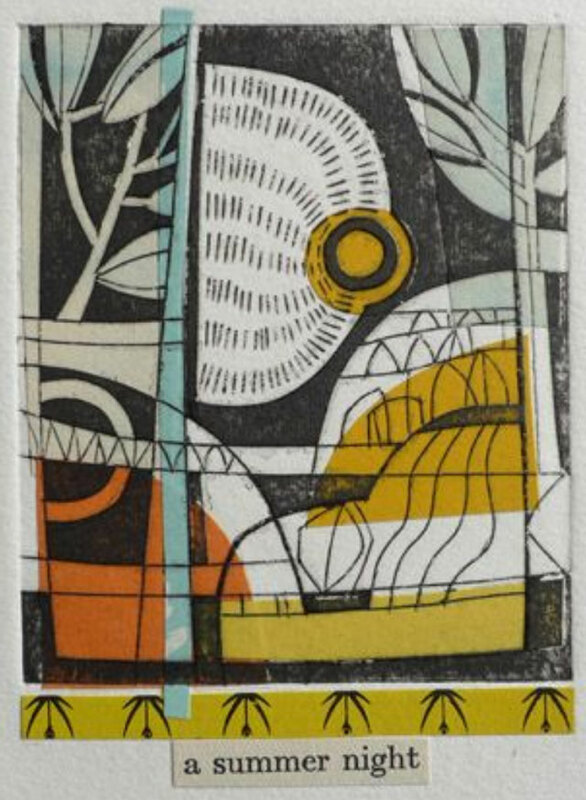 We took inspiration from artist Amy Chapman for these lovely collagraph and collage prints. 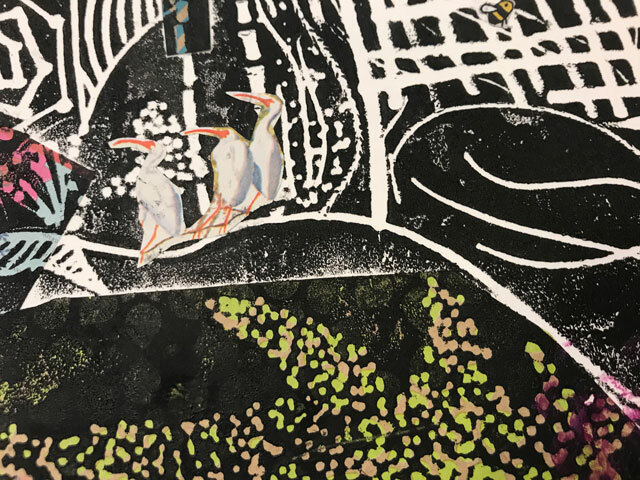 We recently discovered the stunning work of artist Amy Chapman. 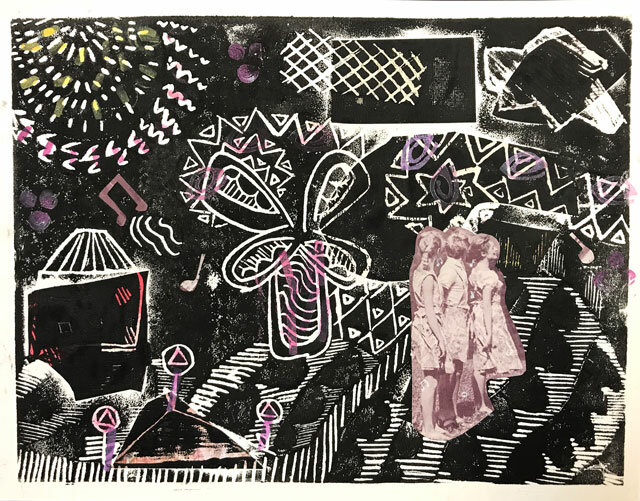 She creates amazing layered compositions that feature color block collage and layered collagraph printmaking techniques with stunning visual texture. Her website at amychapmanartist.com appears to not be functioning at the moment, and clicks to it lead to random spam pages. So we’re linking to images of her work here on Pinterest. We love her use of color, shape, texture & line, with a vintage mid-century modern vibe. 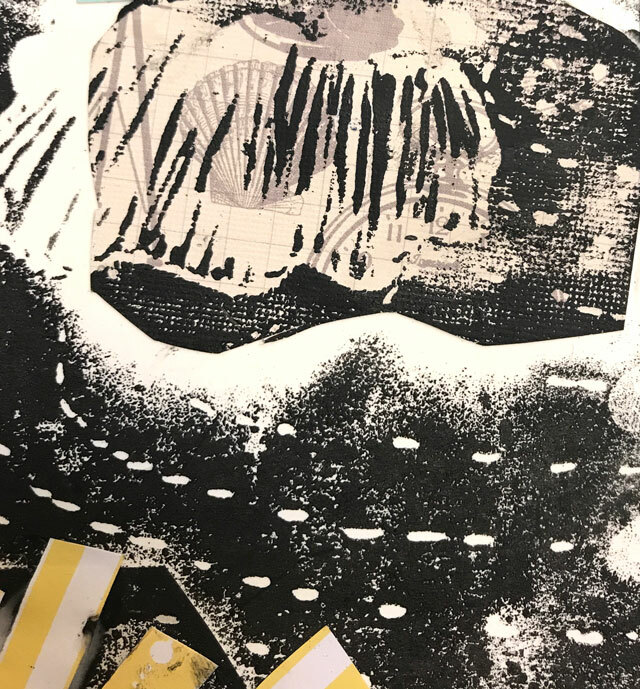 Taking loose inspiration from her process, we started this project in our 12-15 yr. old class by talking through some collage and printmaking techniques that most of our students were already familiar with. 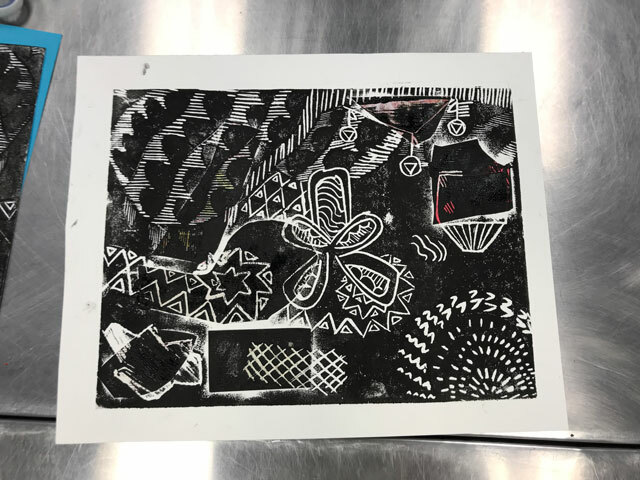 The first printmaking technique we implemented was to create a simple block printing plate. 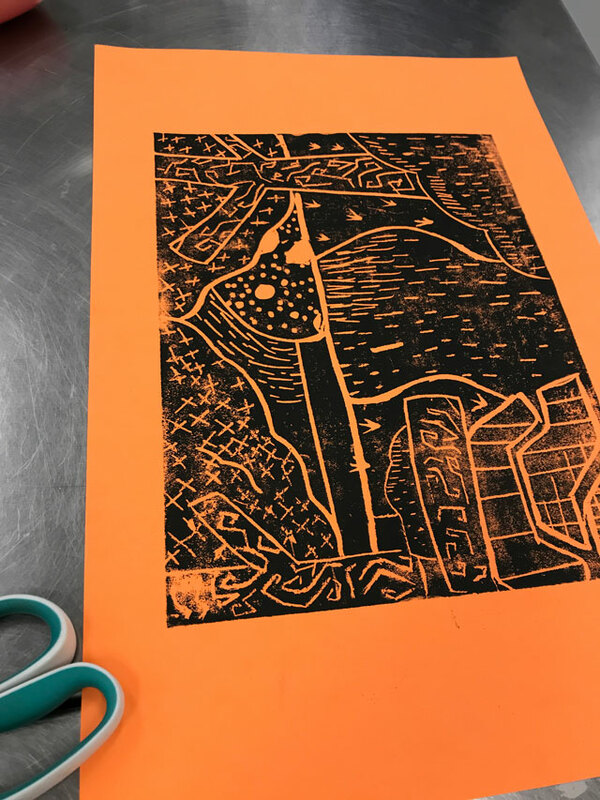 Even with our older students, we like to use soft printmaking carving foam and a wooden stylus. 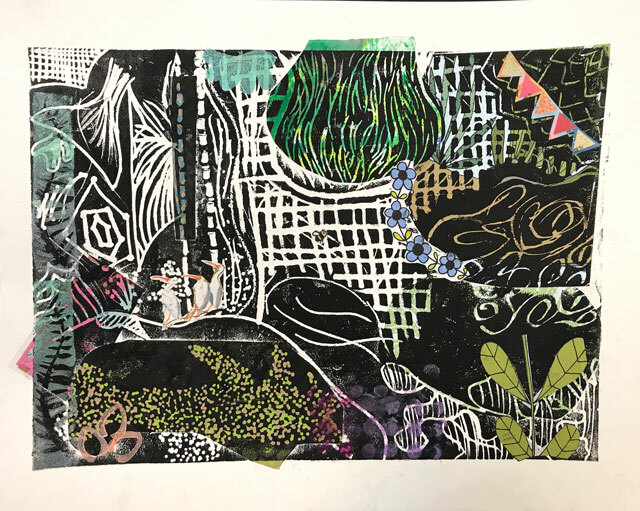 Students created a texture-filled composition driven by natural landscape inspiration and abstract design. We set the printing plate aside to work on the next part. 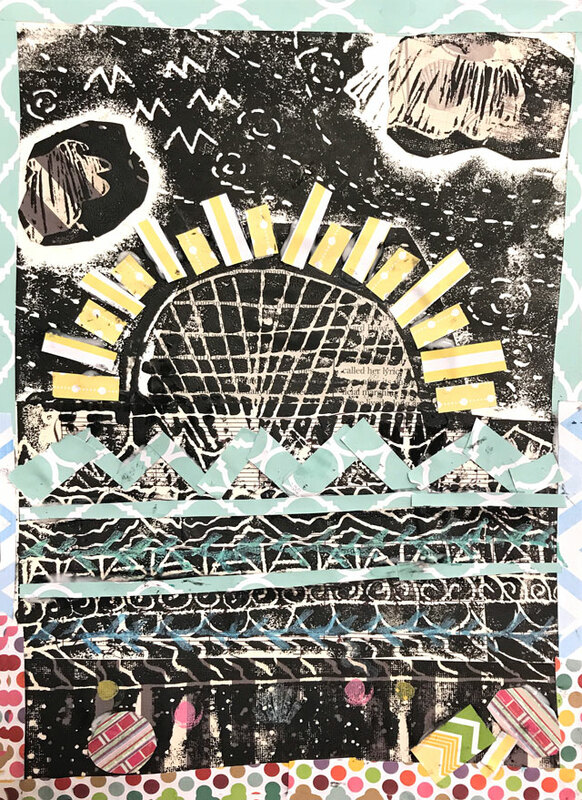 Using their printing plate as a guideline, students created a layered collage that complemented and enhanced their design. 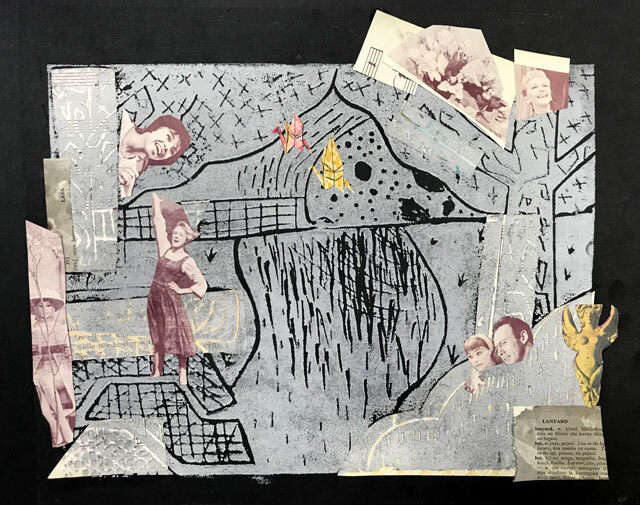 We used a mixture of scrapbook paper, book pages, old maps, painted paper scraps & old photos. 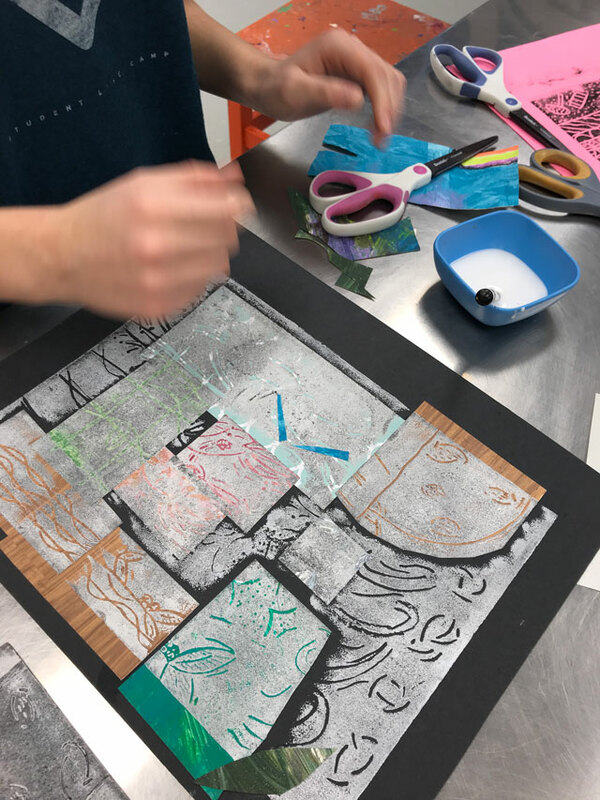 We discussed the need to involve color blocking but refrain from making exact recognizable shapes or the precise size to match their printing plate. 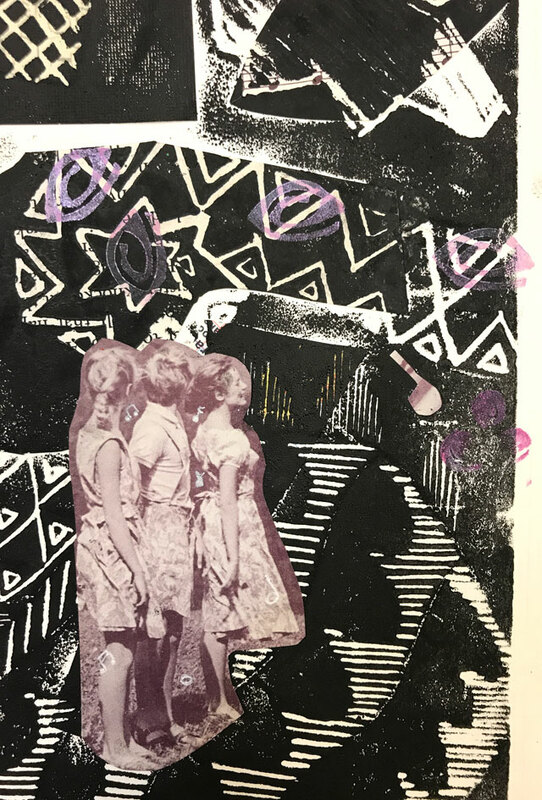 After creating and gluing their collage, students printed a block print on top of their layered collage, with either white or black block printing ink. 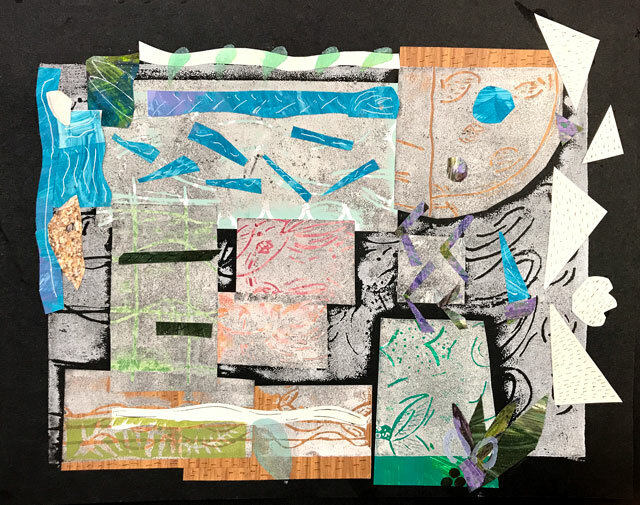 Finally, everyone worked back into their piece with additional collage, illustration or stamped accents (using small stamp shapes, or small printing plates they created using the process described above). In the end, these resulted in stunning abstract pieces, with interesting lines, textures & shapes. And just the perfect little pop of colors!